A new batch of items from The Grand Lodge of Ancient, Free and Accepted Masons of North Carolina are now available online. 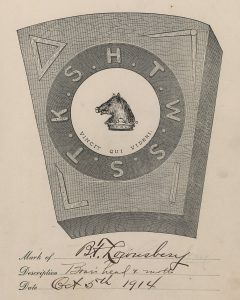 The recently digitized materials consist largely of minute books, account ledgers, and membership rolls from the Grand Lodge and various other Masonic lodges in North Carolina. Also included is a selection of twentieth-century scrapbooks, bylaws, historical sketches, and programs from several different lodges. The textual materials originate mainly from lodges in the Raleigh and Greensboro areas and date from the early 19th century to the 1960s. Accompanying the textual materials are two groups of photographs, the first detailing various activities and features of the the Royal White Hart Lodge No. 2 of Halifax, NC in 1911. The second group of photographs documents a ball held on April 18, 1962 which celebrated the installation of Charles Carpenter Ricker as Grand Master of Phoenix Lodge No. 2 in Raleigh, NC. A single photo, taken circa. 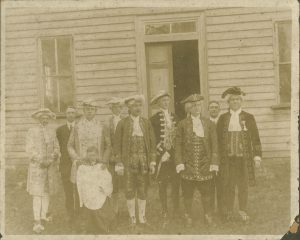 1915, which details a gathering of Oasis Shriners in Charlotte, NC, accompanies the two larger sets. To see more materials from The Grand Lodge of Ancient, Free and Accepted Masons of North Carolina, visit their partner page or take a look at their website.